Do you get fed up with drinking warm beer at the barbecue. Get organised with some fabulous bottle coolers that will solve the problem and cause a commotion at the same time. 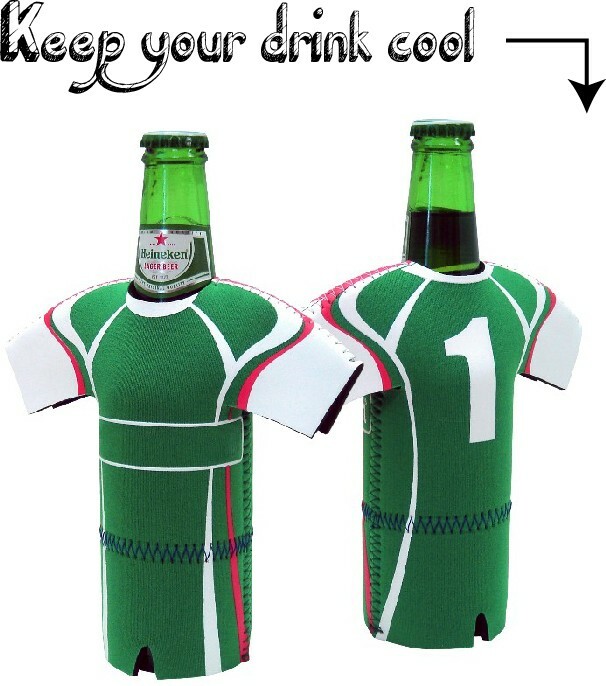 This cooler is fashioned in the shape of a classic soccer jersey and shorts set. The jersey has a round neck and half length sleeves. It features a stunning design of contrasting panels in a light colour that weave and swirl from the shoulders down to the waist and across the sleeves. A bold bright stripe accentuates the panels. At the base of the jersey, a pair of shorts in a matching design complete the look. This fun and funky bottle cooler is sure to make you the centre of attraction. Our coolers are manufactured from 3mm Neoprene which is a cutting-edge temperature controlling material. Slip this soccer outfit over your bottle and dress it up in the colours of your favourite team, it will keep your drink cool for hours. 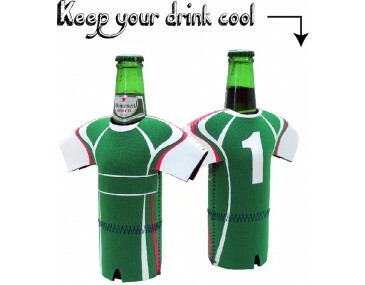 The cooler covers the body of the bottle allowing the neck and top to show out from the neck of the shirt. 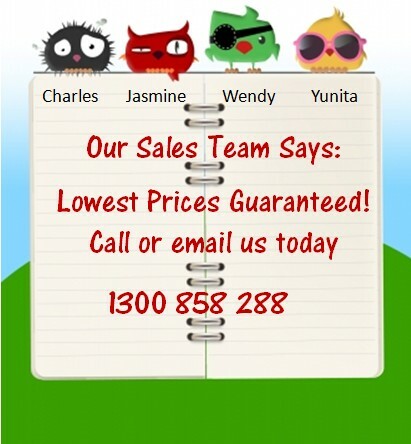 Hand them out to your clients as give-aways at sports events and outdoor events. Let us brand your company logo and graphics onto the coolers on to a stunning full colour print for an awesome advertising campaign. Speak to our innovative artists. 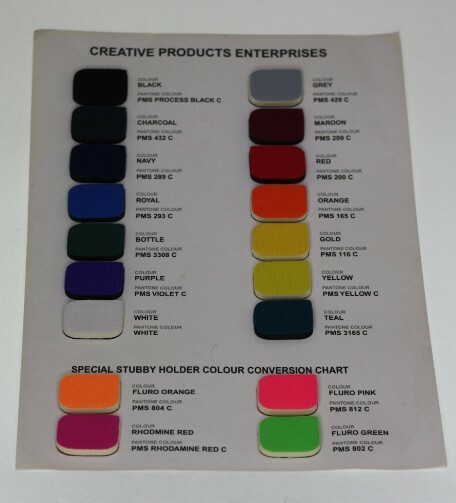 Our listed price includes branding of your personalised company logo or graphic in a single colour screen print. 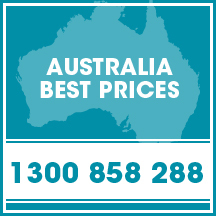 Prices are in Australian dollars and exclude GST. 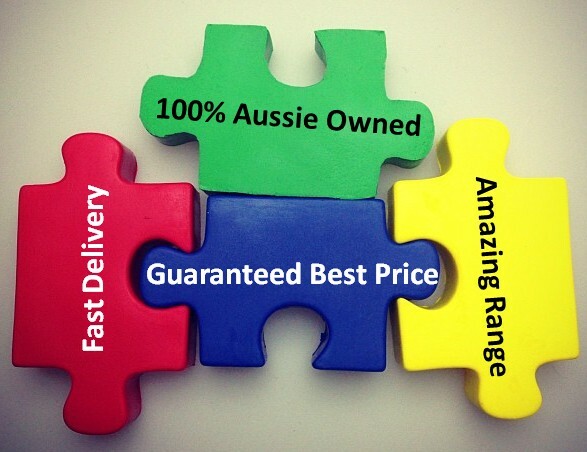 We offer a speedy turnaround time of 2 weeks from approval of artwork. 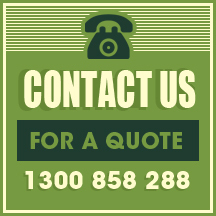 If your order is urgent, speak to us about our faster turnaround times. This product is supplied in bulk quantities. Bulk orders for this product come packaged in a 56cm(L) x 40cm(W) x 56cm(H) sized carton.